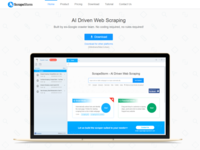 ScrapeStorm is a AI-Powered visual web scraping tool which can be used to extract data from almost any websites without writing any code. It is powerful and very easy to use. For experienced and inexperienced users, it provides two different scraping modes (Smart Mode and Flowchart Mode). ScrapeStorm supports WindowsMac OS and Linux. You can save the output data in various formats including Excel, HTML, Txt and CSV. Moreover, you can export data to databases and websites. The software I have always wanted to find! Pros: I just started using this software for a month. During the process, I found that this is really a very powerful software. Its smart mode can scrape a variety of different types of websites, and it is easy to use. As long as I have seen a few tutorials, I will understand the whole process. But I prefer to use the advanced mode. Although it is a bit more complicated, but it is more powerful, it is very helpful for my academic research. I also recommend my students to try it. And I will continue to use the paid version. Cons: Of course, there are still some problems when using it. For example, sometimes the response is slow, and a few websites are not supported. But it is updated very quickly, the technicians will quickly find bugs and fix them. I believe that this software will be more mature after a while. Overall: This is a fast-growing software, I would love to see its progress, and I recommend you try it. I believe it will give you a good experience. It would be better if you could name the image. Pros: I can't believe how fast ScrapeStorm is when collecting list pages. I used it to get a lot of data quickly, so I can analyze the data as soon as possible. Moreover, it can also download pictures directly, not just links to pictures, so I like it very much. It would be better if you could name the picture. Look forward to it! Cons: I found that when you need scrape into, the acceleration function will look like it doesn't work. Sometimes it won't even collect. I don't know why. Pros: Of course, this is a great piece of software. I tried a lot of data extraction software, this is the easiest software I have ever used. 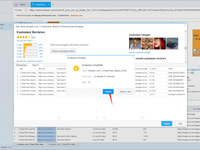 The new acceleration feature has greatly increased the speed of my data collection, especially when collecting list pages. I look forward to ScrapeStorm's new and powerful features. Cons: When collecting, sometimes it will stop after collecting two pages, which may be a problem with the webpage. Pros: This software supports cloud auto-save tasks. This feature is very useful, I like it very much. This makes me not afraid to lose the task in the middle, and guarantee the efficiency of my father. Cons: Some websites do not fully recognize the data, some fields cannot be selected, but there are very few. Overall: After being proficient in these functions, it will be a very good software. I can't believe the progress made by ScrapeStorm. Pros: I found that ScrapeStorm now has a new feature that can filter data. This is really a great feature. I can filter out the data I don't need directly in the process of collecting data, instead of waiting for all data to be collected and then manually processing the data. I think this feature will help me a lot. It allows me to save time processing data. And each column of data can be moved according to my wishes. I really like this tool. Cons: Just because it is growing rapidly, it will have some bugs, but these are not problems for me, I can accommodate it. Overall: Compared to two months ago, ScrapeStorm has made tremendous progress, and I can't believe it. It adds a lot of new features and is much easier to use than before. Pros: It is very simple to use for me, the whole interface is very simple and clear, I especially like its visual operation and intelligent recognition function. Pros: I tested free software I it is great tool to collect for free without programming data of full text descriptions and analyze further with data frames and Natural Language Tool Kit technologies and group words bags. Cons: Some bugs, I think manuals of how test sites and select trial options would be great. 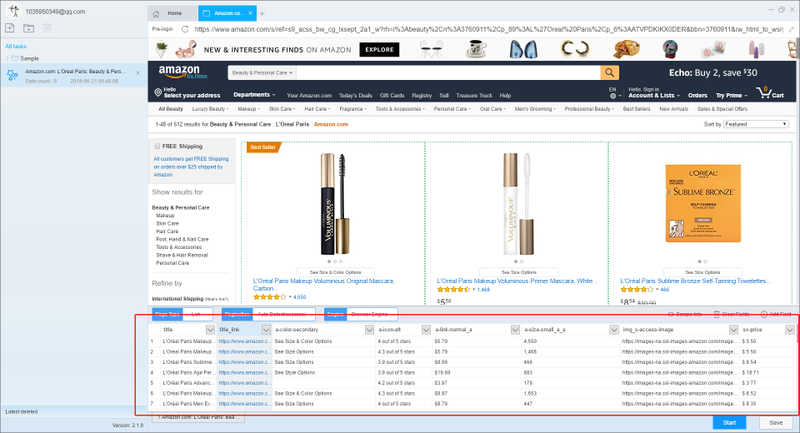 Overall: With Scrape Storm I will save with web scrap programming time to collect e-commerce product information for SEO competition and conversions improvement analysis purpose. Pros: I have used this software for three months. When I first started using it, it seems to be a very new software. Of course there are a lot of bugs, but the staff is very good and answered some of my questions. I saw its progress in these three months, and I am very much looking forward to the launch of the cloud collection function. I heard that engineers have recently made major changes to the software, hoping it will be better. Cons: Sometimes the same operation will not scrape the data, and the software version has not been updated for a long time, I hope the next update can solve these problems. Pros: I have been using this software for 4 months and it is really a very useful software. As a designer, I usually need to find a lot of picture material, but other web scraping tools I have used before can't download the extracted pictures directly. This is very troublesome for me. ScrapeStorm can do this, which makes me very surprised, which is the biggest reason I like to use it. Cons: Sometimes when extracting more data, the software will be slower, but compared with its advantages, I can completely ignore this small problem. Overall: This is really a good helper for extracting and processing data, it can save you a lot of time. Pros: The "Schedule Job" function of this software is very much needed by me. I set the real-time scraping of stock data. It will run automatically every hour and does not require me to operate. It saves me a lot of time and allows me to spend more time analyzing data, which is very helpful for my work. Cons: It is a pity that ScrapeStorm does not have the function of cloud collection. It can only be collected locally. This makes me pay attention not to shut down the computer or disconnect the network. Thank you for your support, we are developing cloud collection, and you will be able to use this feature soon. Pros: This software is much better than I thought, although it is still relatively new software. I usually use it to extract product information, analyze recent trends, compare differences with competitors, and its scheduled job function is really great, It automatically extracts updated data as long as the time is set, and can also skip the data that was previously available, which makes my work a lot easier and saves me a lot of time. Cons: Sometimes it will flash back or get stuck, but fortunately it can automatically save the task to the cloud, so that the task is not lost. I really like this software. Pros: I really like this software. When I scrape the information of other merchants, ScrapeStorm can quickly extract the data I need. If it can't be recognized sometimes, I can solve it quickly after I ask customer service. Since I don't understand the code at all, sometimes the customer service needs to teach me about the usage of xpath and regularity. Cons: The speed of collecting the details page will be slower, but this does not affect my love for it. Thank you for your support, we are developing an accelerator, and will speed up the scraping speed in the future. Pros: I really like its timed activation function, it really saves me a lot of time, this is my favorite point, of course, other functions are also very good. And it will also send me a custom service, which surprises me. Cons: The entire interface of the software needs to be optimized. I don't know where many functions are. The novice boot function is not good enough. I didn't even notice this function at first. Overall: After using it for a while, I think his collection function is still very good, although there are some minor problems, it can be solved quickly after contacting customer service. Pros: This software is really great in terms of data extraction. 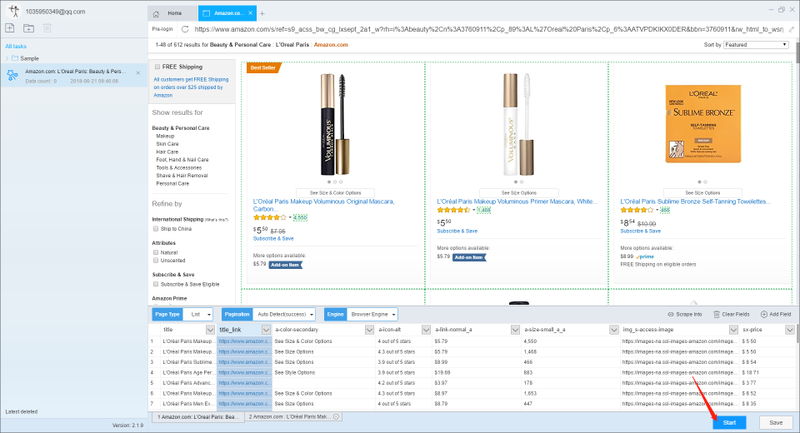 I need to extract a lot of product data from Amazon, and I can extract it as soon as I set the field. And I can very much be satisfied with the ability to export data to a database. Cons: This software also has a lot of bugs. First of all, it is very unstable. Sometimes the same settings can't extract data, and there will be a lot of problems when you log in to another computer. I hope these problems can be solved as soon as possible. Pros: I recently tried to use the flowchart mode. This is a bit hard, but it can scratch a lot of pages that smart mode can't scrape. I also probably understand the role of each component, and I am still trying to find ways to use it. Cons: In my use, the other is very good, but there will always be problems when setting the next page loop. After checking, my settings should be correct. I don't know if there is anything wrong with xpath. Pros: I can use it to quickly collect information about real estate changes every day. For these not very complicated information, ScrapeStorm has a great ability to scrape, which allows me to quickly grasp the market conditions for analysis. Cons: The recognition of pagination is not very good. It is often impossible to automatically recognize the pagination button, and sometimes the image information cannot be scraped after pagination. ScrapeStormthe software is exactly what I want! Pros: This software is exactly what I want! It does work. It is easy to use, but can do a lot of things. It can even be used with some sophisticated websites. It allows me to take in a lot of data points and focus on statistical analysis and data extraction. Cons: The software never gave me any problems. I think no one can find better software to extract data from the web. The software works exactly as expected. Pros: For me, the most useful thing about this software is its automatic recognition function, because I really don't understand programming and code. 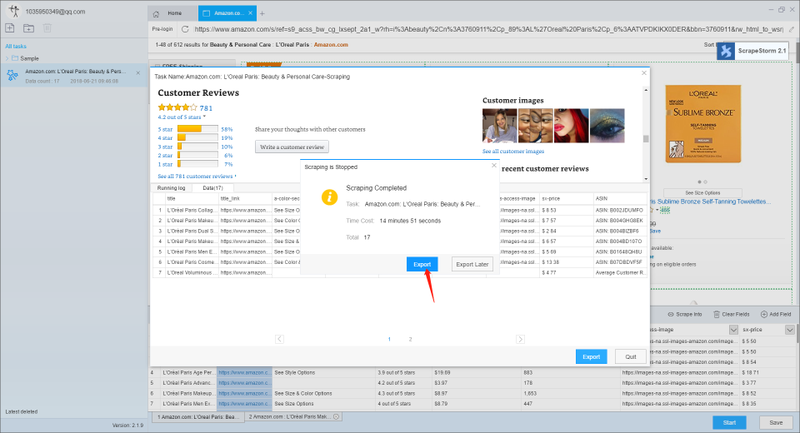 This feature allows me to get the data I need quickly. Cons: I have encountered the data that has been scraped during the scraping process, and selected skip and continue, but will still scrape the data repeatedly. Thank you for your support. We will solve this problem quickly. Pros: This tool does not require input code and xpath, it makes the "simple" to the extreme, the whole process is very smooth. Cons: ScrapeStorm sometimes stops when it scrapes data for two or three pages. Later I found out that the software did not automatically recognize the paging button. There are a lot of websites that don't automatically recognize pagination, which makes me very troubled. Pros: When I use this software, I especially like its advanced mode. I think its logic is very clear. It is very easy to extract the data by just figuring out the logical connection between each section. Cons: The ability to recognize data needs to be improved. Sometimes two or more data are glued together, causing the data to look messy. Pros: It can analyze the page and extract multi columns like price and title automatically with no pre configuration. It save me a lot of time other than editing the xpath manually. Cons: I think it should add more cloud services like data hosting and ip rotation. some APIs like webhooks and restful will be more helpful. Pros: I want to use this software to collect data from the real estate industry and use a large amount of data as a basis to analyze the current market conditions. ScrapeStorm can identify most of the web pages, and the settings for running are relatively simple, which I can understand. I have high expectations for it and hope to implement the cloud capture function very quickly, which will make it easier for me to collect data. Cons: When collecting some websites, it will be very slow, perhaps the anti-collection measures of the website, hoping to speed up the scraping speed. Smart mode is really really easy to use! I do love it! Pros: I really like to use its smart mode, although it seems that many people prefer advanced mode, the software will automatically analyze and extract the list and table data, while automatically identifying the page, the whole process of automation. It's so good for people like me who haven't studied programming. Cons: I found that if I upgrade to the paid version, there will be problems when exporting on the same day. I will wait until the next day to export normally. I hope the technician can solve this problem as soon as possible, and do not affect the experience. The smart model is very intelligent! Pros: I like to use the software because it has a smart model. When I input a site url, it process and extract the field faster than other software. It can scrape datas easily and save my time. What a Good tool. Cons: The software also has some problems. Except the smart model, the other model is very difficult to use. And Its tuturial is incomplete. Hope the developers can solve these problems. Overall: The software has an amazing function. It can help many ordinary people like me to get more datas easily in this age. Thank you for your feedback. And we will try our best to make our software use easily. Pros: I need web scraping software very much at work. I need to grab every directory available in the US. This is really a big project and it will take me a lot of time. ScrapeStorm has helped me a lot, most of which I need The scraped website can be scraped smoothly, and a small part of the failure will be solved by the engineer as soon as possible after feedback to the team. Cons: I found that ScrapeStorm can't scrape the multi-level page stably, and sometimes the scraping speed will be slower. I hope the team can continue to optimize. I bet this will attract more users. Pros: I really like its smart mode, this feature is very very easy to use! It basically extracts the data I need. It is very friendly to my newbie. I have seen the tutorial and can operate it, which greatly improves my efficiency. Cons: To be honest, I don't know much about the operation mode of its advanced mode. There are very few tutorials about advanced mode. I hope I can add some more such tutorials. Overall: This software update is very fast, I believe it will continue to develop in a better direction, I will continue to use it. Pros: Simplicity, very well built software, doesn't feel laggy and easy to use drag and drop models. Cons: Lack of advanced functionalities that major scrapping softwares have, but I believe Scrapestorm is working on frequent updates (I received a notification to update Scrapestorm today). Pros: The interface of the software is very simple. There are a lot of tutorials on how to operate on the homepage. Basically, you can master the operation method of the software through the tutorial. My favorite thing is to filter out the text and extract some specific fields, such as email address, phone number, etc. 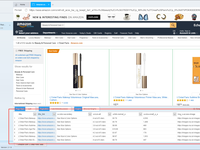 Cons: This is my first time using web scraping software, so I can't compare it with other similar software, but I think it is very helpful to me. 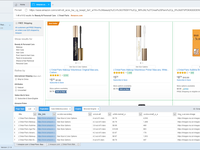 Pros: I use this software to scrape competitors' information, sales, evaluation, collection and other data of their products, and through comprehensive data extraction, I can analyze market conditions and make predictions about future trends. Cons: Sometimes the data is not completely scraped, it stops running after scraping some data, but I found that it may be related to the network status. Pros: The extraction of this software is very smooth and fast. It can be seen that during the days I use, there will be a big improvement every time the version is updated, and the usability of the software is rapidly improving. Cons: I found that these days when I downloaded the image to the local, I could not succeed. This is a big problem for me. I hope the development team can solve this problem right away.